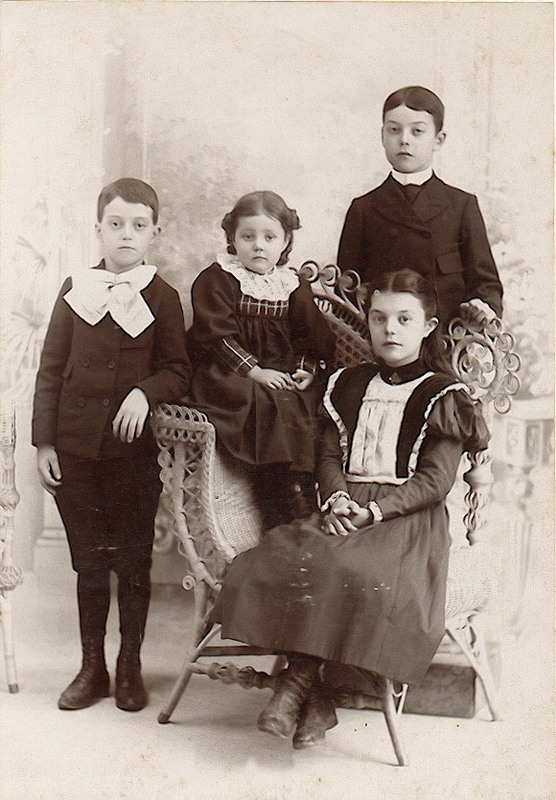 Special notes about this person: K. Gable Young writes: "Elmer Gable [is] far left and the little girl is Hattie Gable. ... Shortly after this photo was taken the mother died and the children were sent to live and work for other families." Thanks to Gable, this would mean that the oldest girl in front is Elsie E. Gable Rockel, and the boy on the right is Harvey, Jr."